Looking good in that flat abs is the desire of most people today, but unfortunately, there are preponderance of fat belly people compared to those with flat looking abs. But you should not get it twisted, everybody have some amount of belly fat, is just that some have more quantity more than others. Even if you are having flat abs, there are still some little amount of belly fat in it, but only that it is quite normal. It becomes a cause for alarm when you have too much of belly fat. Do not worry, in this post you will see some easy tips you can follow in getting rid of fat belly naturally. In humans, some of our fat are just underneath our skin, but there are some other fat that goes deep underneath the skin and found themselves around organs such as like the heart, liver and lungs. This group of fat are known as the dangerous type of fat called "Visceral fat". Before we get to the part where i will be showing you some tips on how to lose belly fat, let me first of all get you acquainted with what belly fat is all about, so read on! Are Visceral Fat Really Dangerous? The answer is NO, because you actually need a bit of visceral fat which provides cushioning around your organs. The problem comes in when you have too much of it, because it can increase your risk of having diseases such as type 2 diabetes, high blood pressure, dementia, heart disease, and certain types of cancer, which includes colon and breast cancer. The fat is not stagnant; it is an active part of your body, making many nasty substances. As you are gaining too much weight, your body starts to store the fat in unusual places. As obesity is in the increase, there are many people whose regular fat storage area are so full that the fat gets deposited around the heart and to other vital organs. A healthy waist size should be less than 88cm for women, and less than 102cm for men. But what if you are thin? 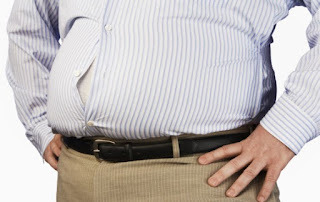 Even if you are thin, you can still have too much of visceral fat. How much you have is partly about your genes, and partly about your lifestyle (especially how active you are). The key is to be active, no matter what size you are. Exercise is one good way you can lose belly fat, this is because energetic and intense exercise burns down all the fat in your body including visceral fat. Ensure you get involved in 30 minutes of exercise for at least 5 days in a week, making this a regular routine is key. Raising your heart rate for 30 minutes at least three times per week also helps. It slows down how much visceral fat you gain. But to trim down visceral fat, the rate at which you exercise need to be increased. If you are not active at the moment, it will be a good idea to check with your health care provider before starting a new fitness program. There is no existing quick magic diet that helps in losing belly fat. But the fact is that when embark on a weight loss diet, belly fat usually goes with it. Including enough fiber in your diet can really be of help in this pursuit. Eat at least 10 grams of soluble fiber per day. That is as simple as eating two small apples, a cup of green peas, or a half-cup of beans. To be on a healthy side, ensure that you are getting enough amount of quality sleep. A study revealed that people who got 6 to 7 hours of sleep every night gained less visceral fat over 5 years compared to those who slept 5 or fewer hours per night, as well as those who slept 8 or more hours per night. As humans that we are, there is no possibility of getting rid of stress 100 percent in our daily life, but you can decide how you handle it. The best method is to look for something that gets your mind relaxed. Example of relaxation method is to hang out with friends and family, meditating, watching your favourite sport etc. This will make you a lot more healthier and places you in a position to make better choices for yourself.